Just a victim of bad music? 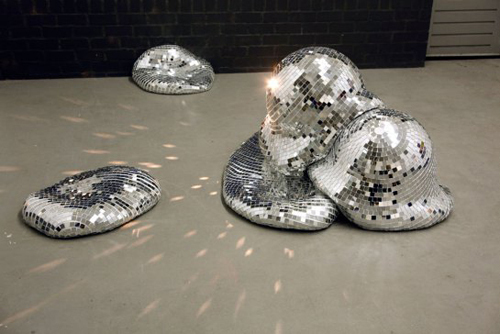 If the air of the room had previously been checked, the sudden death of these famous symbols of glamour and eroticism maybe could have been prevented. 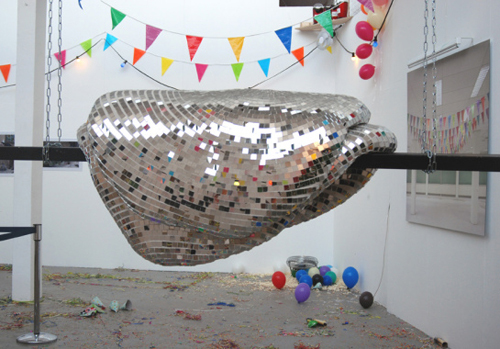 Rotterdam-based art collective Rotganzen has created a series of deflated disco balls. 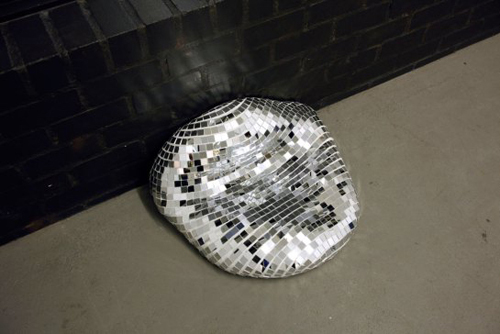 If you go out clubbing on the weekend, watch out: they could lie lifeless on the floor.